In IE-10 and IE-11 we have been able to replicate the issue of users receiving unsupported browser message for supported browsers. Users receiving this message in IE are running their browsers in "Compatibility Mode". This means that they are running an earlier version on IE (compatibility mode defaults to IE-7 standards), even though IE-10 or IE-11 is the installed version of the browser. 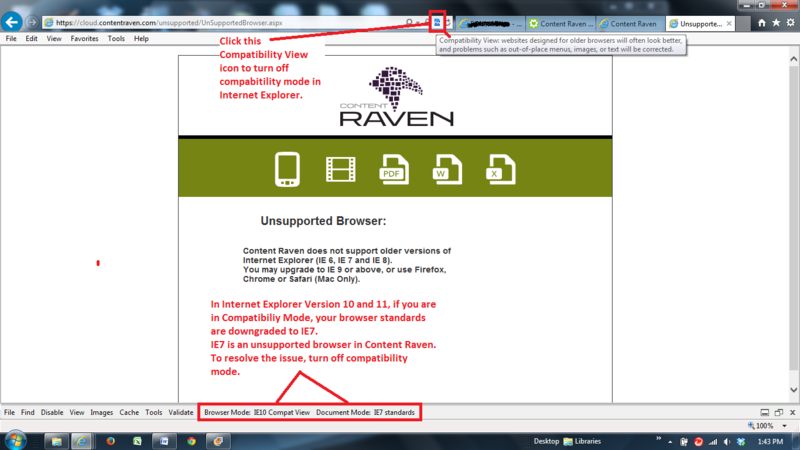 The solution for user's with this issue is turning of compatibility mode in IE. Then page will load properly. Screenshot from Windows 7, Internet Explorer Version 10 in Compatibility Mode.